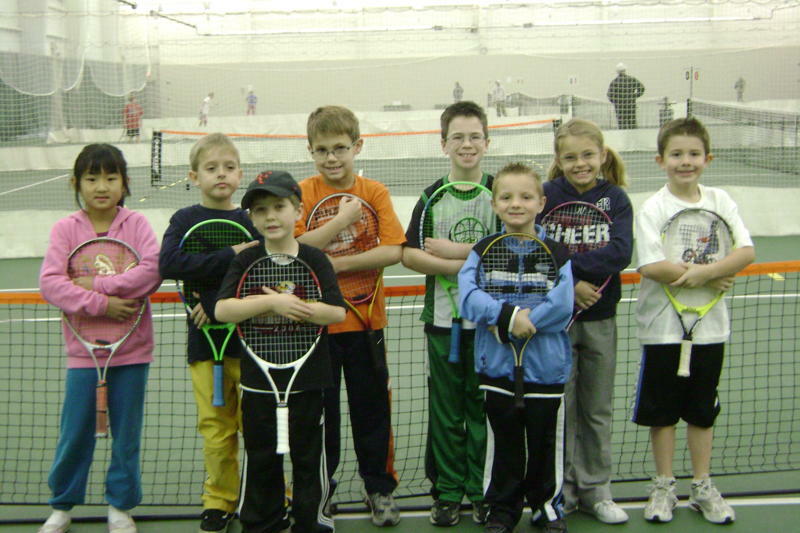 A total of 15 youth participated in the 1st Annual QuickStart Tennis Tournament held at the Fremont Family YMCA on Saturday, December 12th. It was a great opportunity for some of our up and coming young tennis players to get some fun playing experience. Participating in the younger age group (ages 6-9, pictured above) were Alex Bigsby, Cade Gille, Carsen Gille, Chloe Gille, Brianna Liu, Brian McGinnis, Wesley Rademacher, Carter Richmond and Connor Richmond. 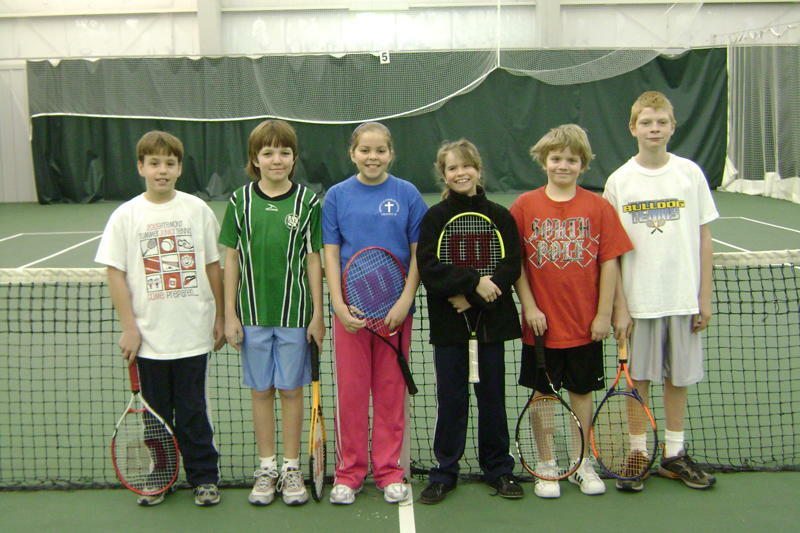 Those competing in the older age group (ages 10-13, pictured to the right) were Logan Baumberger, Rush Boehm, Madison Carlson, Hunter Hamilton, Bailie Hansen and John Knosp. Volunteers for the event were Nancy Ahrens, Amy Ahrens, Luke Prescott, Evan Hoisington, Johanna Culver and Justin Bigsby. Thanks to all who helped out, and to all who participated to make this event a great success! Here are some pictures of the action during the event. The Fremont Family YMCA hosting their 1st annual Fremont QuickStart 8/10/12 & Under Tennis Tournament. 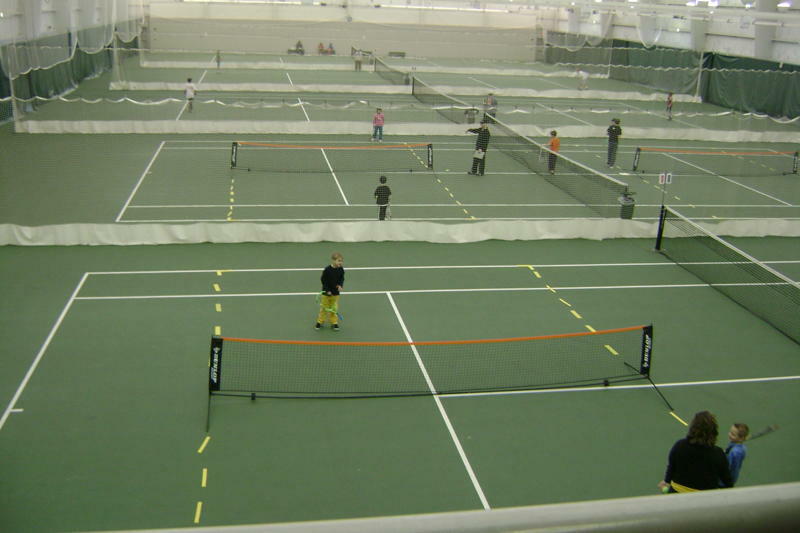 The tournament will be held December 12, 2009 from 9 a.m. – 1 p.m. Registration deadline is Friday Dec. 4. Players will play a minimum of three matches and will be limited to one singles event. WHAT IS QUICKSTART? The QuickStart Tennis format is about fitting tennis to kids based on age and physical size. 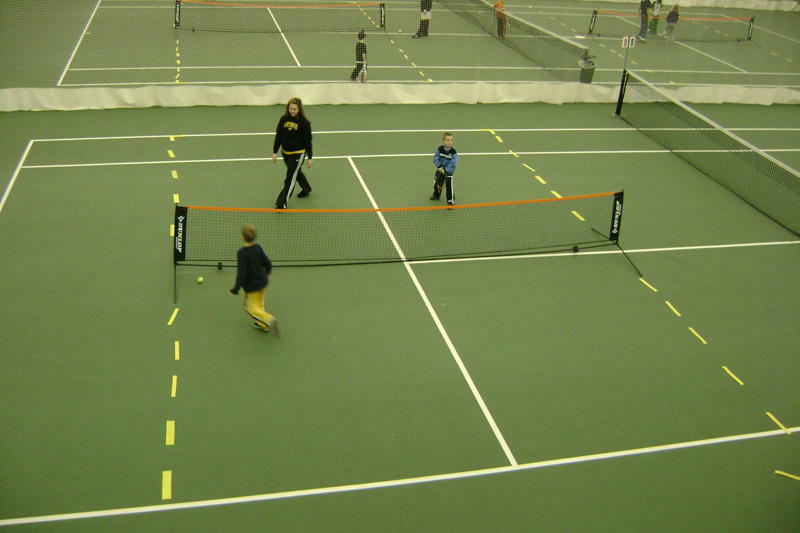 By shortening the court dimensions, equipment (rackets and balls), net height and scoring system coupled with a play component, kids will develop better technical and tactical skills. When each of these elements is used together, kids will achieve early success and stay in the game. To give kids the confidence and ability to cover the entire court, score points and build an all-court game, the court is shorter and narrower for both age groups. 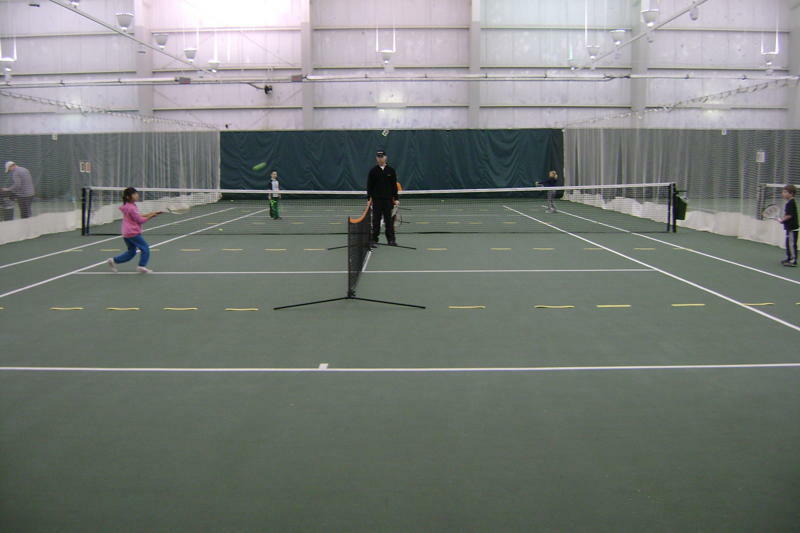 The QuickStart Tennis format divides kids into two ages groups: the first is 8-and-under; the second is 10-and-under. We will also offer a 12 and under division. By putting kids with similar physical and social skills together, they have more fun while learning and developing skills. Stop in at the Fremont Family YMCA to pick up a registration form or click QuickStart Tournament to download a registration form. Check back here after December 4 for the schedule of play.